Details are being fed into Rahul Gandhi’s promise of a minimum income guarantee to poor Indians, an announcement made earlier this month. Thomas Piketty, an authority in economics, and particularly in inequality analysis, is assisting Ghandi’s Congress party in designing the policy onto the Indian context. Although Piketty has a particular vision on basic income, he has supported a universal, unconditional basic income. At some point the particulars of his proposal may have generated confusion, but it seems his contribution to what can be a real shot at implementing (a kind of) basic income in India prove his resolve on this matter. 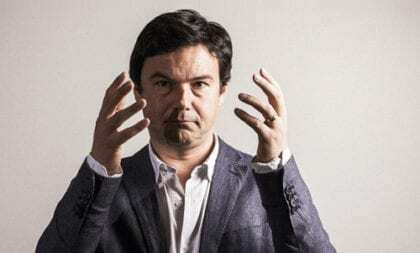 “It is high time to move from the politics of caste conflict to the politics of income and wealth distribution”, Piketty has stated. MIT professor Abhijit Baerjee is also helping to materialize this idea on the Congress manifesto for the upcoming elections. Economy Nobel prize winner Angus Deaton was also contacted by party officials, but hasn’t apparently been involved in the scheme’s design. The Congress’s proposal for its “minimum income guarantee” was told, by party officials, to be “anything above 10000 Rupees per month” per household. For a typical family, that would amount to 66% of the family’s net living wage, which contrasts with the Bharatiya Janata Party (BJP) most recent promise for implementation of a basic income-type of policy (6000 Rupees/year, per small farmer). absolutely need help with that subject matter. signifies a great deal to me and even further to my mates.